**Guests who wish to attend the Business Working Group session must contact admin@cbrsalliance.org for more information. The Alliance is happy to announce that Mr. Michael O’Rielly, FCC Commissioner, Mr. David Redl, Assistant Secretary of Commerce and NTIA Administrator, and Acting Deputy Chief Information Officer for C4IIC Mr. Frederick Moorefield will be speaking on April 30 at the CBRS All Members Meeting in Charlotte, NC. 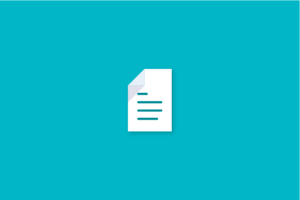 Presentations will be held on Tuesday, April 30, 2019 from 1:00PM–2:30PM ET. Michael O’Rielly was nominated for a seat on the Federal Communications Commission by President Barack Obama and was sworn into office in November 2013. In January 2015, he was confirmed and sworn into office for a second term, which extends until June 30, 2019. 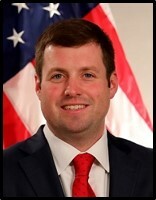 Prior to joining the agency, Commissioner O’Rielly spent almost 20 years working in prominent Republican communication policy and leadership positions for the U.S. House of Representatives and the U.S. Senate. Most recently, he served as a Policy Adviser in the Office of the Senate Republican Whip, led by U.S. Senator John Cornyn (R-TX). David J. Redl was sworn in as Assistant Secretary for Communications and Information at the Department of Commerce in November 2017. He serves as Administrator of the National Telecommunications and Information Administration (NTIA), the Executive Branch agency that is principally responsible for advising the President on telecommunications and information policy. Redl is a lawyer and communications policy expert with more than a decade of experience in government and the private sector. He was previously the chief counsel at the U.S. House of Representatives Committee on Energy and Commerce. In that role, he served as principal legal advisor to the chairman and members of the Energy and Commerce majority on communications and technology matters. Prior to his time with the committee, Redl was director of regulatory affairs at CTIA, a trade association that represents the U.S. wireless communications industry. 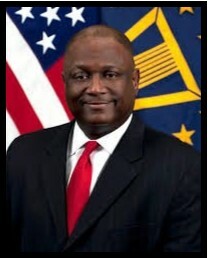 Mr. Moorefield is the Acting Deputy Chief Information Officer for Command, Control, Communications and Computers and Information Infrastructure Capabilities (C4IIC), Office of the Secretary of Defense, Chief Information Officer. As Acting DCIO, Mr. Moorefield provides technical expertise and broad guidance on policy, programmatic and technical issues relating to C4IIC to integrate and synchronize defense-wide communications and infrastructure programs. He also advises on efforts to achieve and maintain information dominance for the Department of Defense. He manages efforts defining DoD policies and strategies for design, architecture, interoperability standards, capability development and sustainment of critical command and control and communications for nuclear and non-nuclear strategic strike, integrated missile defense, Defense and National Leadership Command Capabilities, and spectrum. For CBRS Alliance Members, please find the hotel room block link and registration information on Causeway here. If you are not a CBRS Alliance member and are interested in attending the event, please contact admin@cbrsalliance.org for more information.